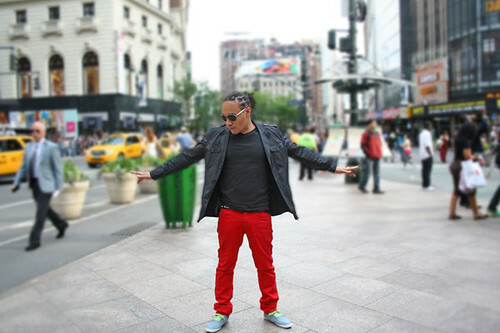 (FOX FUSE) - Jamaican dancehall artist Stein steams up the summer with the launch of his sleek new website, www.steinmusik.com. The official site is Stein's direct link for media, bookings, radio and DJ drops, and dubplate requests. It also connects his audience directly with all his social sites. But mainly, the website offers up his catalog of music, with all songs titled and in one place, for the first time. Stein also recently shot the video for his latest single, "Wheel It Off," produced by Chimney Records on their Money Box Riddim. The video is directed by Stein's long-time video collaborator, Andre "Silence" Dixon, and is set against the tantalizing backdrop of Miami Beach, Florida. "I've been back in Jamaica recording music day and night for my debut album, All Or Nothing, due out early next year," reveals Stein. "I took a brief break to shoot a video because sometimes you need the visuals in addition to radio support. So I'm trying to get my music out there to the fans, in every way I can." This has proven to be a sizzling summer for Stein. Earlier this summer, he embarked on a U.S. promo tour in the New York, Boston, and Connecticut areas, blazing his brand and building his name with the masses. He also joined hip-hop heads such as Maino on a New York City school tour, to spread the message of peace to high school students. Stein now plans to extend his outreach to students in Jamaica and across the Caribbean. For more information on Stein, visit steinmusik.com or follow his mission at Twitter.com/SteinMusik, Facebook.com/SteinMusik, and YouTube.com/SteinMusik.